I’ve set the light to be visible in order to show the ‘problem’. The light is shining out of both sides of the rectangular area light! This is not the normal behaviour of a flat area light such as the rectangular and disc shapes. Generally you only want lighting coming out of the ‘front’ side that is represented with a little line, so you can light specific areas of a large object or perhaps just one of many objects and not those behind the light. Luckily this is as easy to fix as checking a checkbox. Because that’s what you do. So there you go! Quite useful for more precisely directing your light, a bit like an area spotlight but.. not. 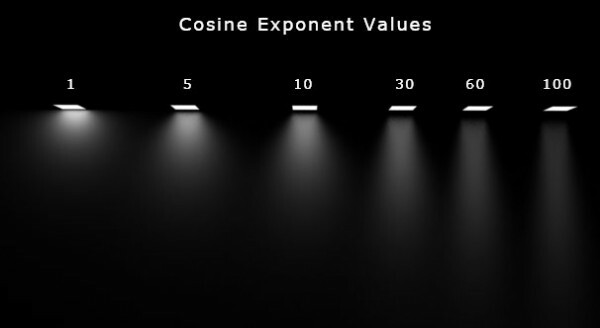 I imagine the Cosine Distribution attribute is off by default so that you can use spherical area lights with a light profile attached, which I know a lot of people in archvis use. The more adventurous among you could quite easily modify the AE Template script for this shader to enable it by default if you wished. I haven’t decided yet! The ‘Wom’ as it’s called is a fantastic light shader for mental ray in Maya (and also XSI). Created by ‘wombat778’, I essentially use this light shader on all my lights, all the time. There’s a long running thread on CGTalk about this shader here where it can also be downloaded along with a PDF manual. It is also available on Creative Crash here. …divided into 3 columns as there’s a lot of them! If it looks scary and very different to what you use normally, don’t worry it’s actually not that complicated I swear. Not to mention it’s very useful to understand how more complex lighting like this works and what it can achieve for you. 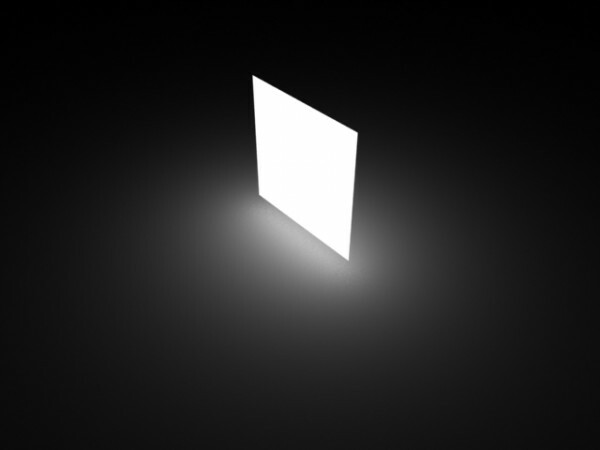 If you aren’t going to use GI or caustics, obviously you don’t have to plug it in as a Photon Emitter. Now, in that screenshot you can see there’s an empty Light Profile slot where you could potentially attach a shader to utilize an IES or Eulumdat light profile (giving your light a realistic falloff shape based on real, measured lightbulb data). In this case these effects are handled within the Wom shader itself, so you don’t need to plug anything in there separately. It has physically based falloff, adjustable to fit the scale of your scene units. You can use real light units such as Watts, Lumen, Candela etc. It works well with the Mia Photographic Lens shader and Sun/Sky system. It has a bunch of settings for the visible rendering of an area light, not just on/off. Has light presets such as a 40 Watt bulb, and can take it’s colour from the correct light temperature. Makes using light profiles easy. Honestly, I just find it to be a quicker and more reliable way to achieve photographic results in mental ray. I love it! There are studios here in Australia using it daily now too.